Dear Nora is a back. It has been over a decade since the last release from Portland, Oregon based artist Katy Davidson (who uses they/them pronouns). They founded the lo-fi indie project with Marianna Ritchey and Ryan Wise in 1999. It was the reissue of their 2004 LP Mountain Rock that spurred Davidson to write the latest album. Over their long career, they have been big influences to acts like Girlpool and Joyce Manor. The response from fans when they revived the project told Davidson the songs and the messages still resonate today. In this album, Davidson explores the disconnect humans are facing in the modern age. 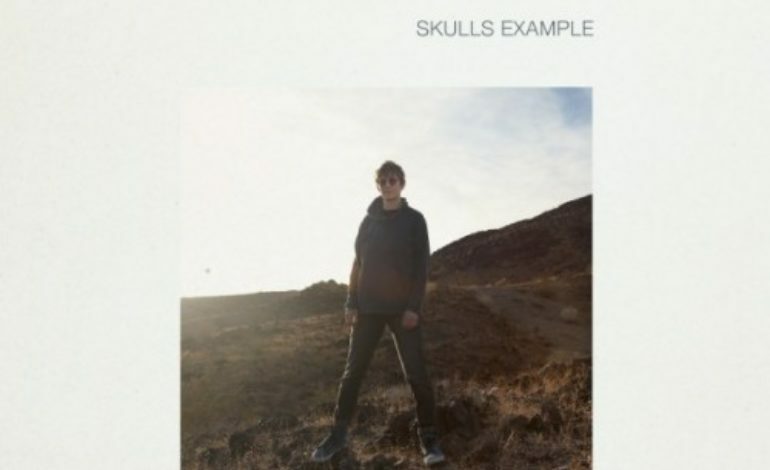 They explains, “Skulls Example is about how our weird, techno-futuristic present….juxtaposes so absurdly against the never-ending backdrop of inexorable, ancient elements. It’s like we live in multiple realities at once.” They were also heavily inspired by trips to Mexico as well scenery in Davidson’s state of Oregon. Location plays a big role in the song lyrics. Additionally, like a lot of artists who were deeply affected by the 2016 election, Davidson felt like now was the right time to make a statement. Davidson has always had a lo-fi approach to their music, and the process wasn’t any different with Skulls Example. They recorded a lot of the instruments through a four-track machine, production with some of their bandmates in the studio and other things like guitar and vocals were overdubbed from “a reverberant empty bedroom” in Davidson’s house. The music stays very simple which brings a lot of focus to the lyrics. “Sunset on Humanity” pairs together Davidson’s breezy melodies and a jangly guitar line while lyrics like, “Sunset in the video game/ And I’m walking on the beach/ The colors are radiant, orange, blue, purple, red, yellow/ I’m reaching/ It’s all within reach,” bring to mind themes of virtual reality. Also in a similar vein is “Simulation Feels” which has a funky drum beat and some of Davidson’s sunniest melodies. The band captures a slinky ‘80s groove nicely. Spacey, chilled-out tracks such as “Antidote for Mindlessness” and ‘Long Distance” feature the signature stream of consciousness lyric style. Other, more straight-ahead rockers like “Black Truck” show off Davidson’s edgier side.